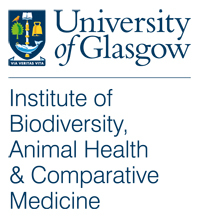 Welcome to “Naturally speaking: a science pod-yssey” brought to you by the Institute of Biodiversity, Animal Health and Comparative Medicine at the University of Glasgow. Naturally Speaking is first and foremost a podcast covering cutting edge research and light hearted ecology banter. But to keep you updated with a broader range of content, since January 2015 we have invited blog posts from researchers across our Institute. Our Naturally Speaking Editors also rove around, reporting on recent news and events in the Institute. Some posts cover recent papers, broken down to tell the bigger story and personal perspective of the author. Others tell the story behind the research, be it weathering storms while surveying seabirds in coastal Scotland, negotiating forests in S. America or chasing wildebeest in the Serengeti. We’ve got a little something for everyone. Blogs: All of the blog posts published by Naturally Speaking. Survivor’s Guide to Academia: Essential reading and listening for research scientists and academics everywhere. Want to contribute? Write for us.